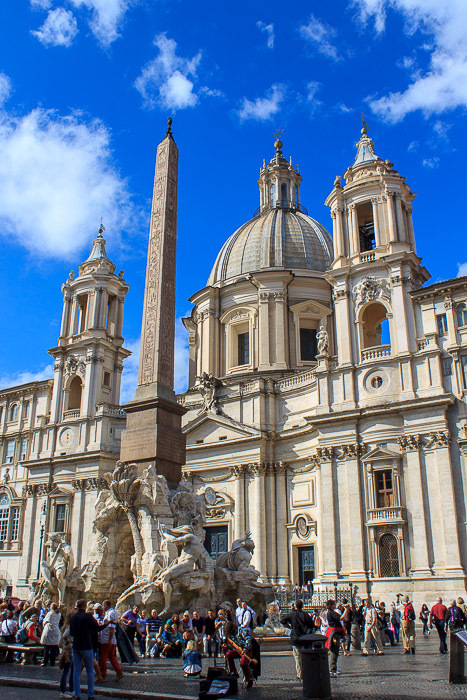 I haven't been inside St. Agnes in Agone, but it's the church behind (on the west side) of the Agonal Obelisk in Piazza Navona. 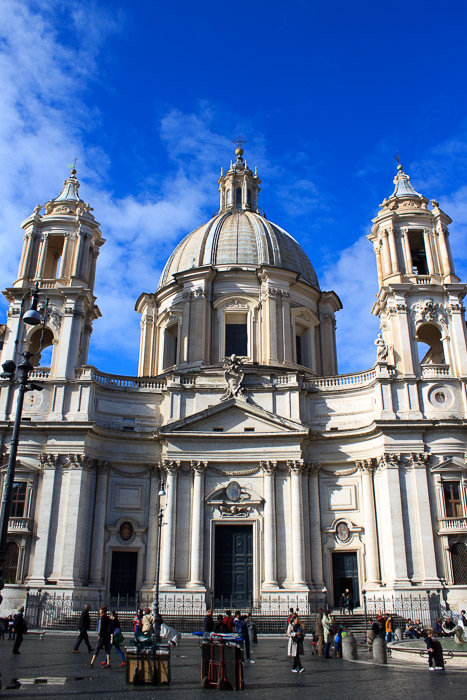 It's a 17th century baroque church, started in 1652 and completed around 1670. Since the Fountain of the Four Rivers was completed in 1651, don't believe any urban legends that the Nile is bracing himself for the church to crumble upon him. See all St. Agnes in Agone photos.